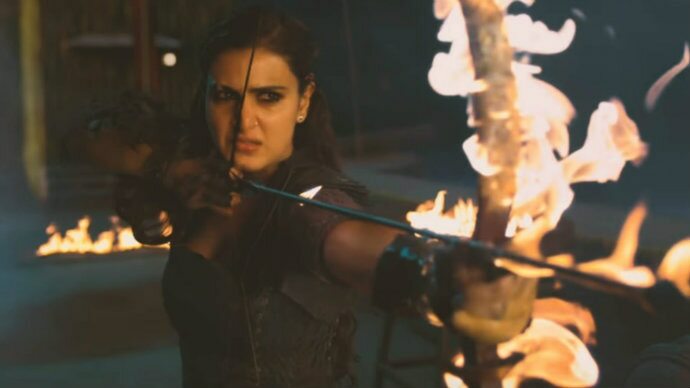 Bugs of Hindustan: Why does Bollywood turn even warriors like Fatima Sana Shaikh into helpless baby dolls? Apparently, women need protecting. Period. “Akeli ladki khuli hui tijori ki tarha hoti hai,” Jab We Met taught us while smacking the living daylights out the very idea when Kareena Kapoor Khan delivered her iconic “Chillar nahin hai mere pass” dialogue. But that was over a decade ago. In the last ten years, however, Bollywood seems have lost its way in the smog along with GPS signal and has walked right back into the well they had only just crawled out of. Circa 2018, we are told that women need protecting. Always. Even if she can put Orlando Bloom’s Legolas to shame with her superb archery skills. 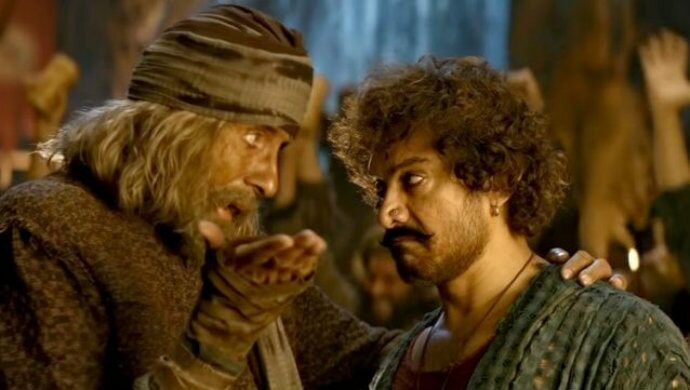 Aamir Khan and Amitabh Bachchan’s Thugs of Hindostan got a lot of things wrong, but the one that tops the list is its need to establish the supremacy of the men headlining it. Even at the cost of infantalising the one strong female character they ended up creating in the process — Fatima Sana Shaikh. Fatima is seen in the role of Princess Zafira, of Raunakpur. She is a feisty young girl, all of five or six. We know that because even as she spends her day building sand castles, she strategically plants two figurines atop it — one of Khudabaksh and the other of herself — as the protectors of the fort. “Main hifazat karungi,” she aims. 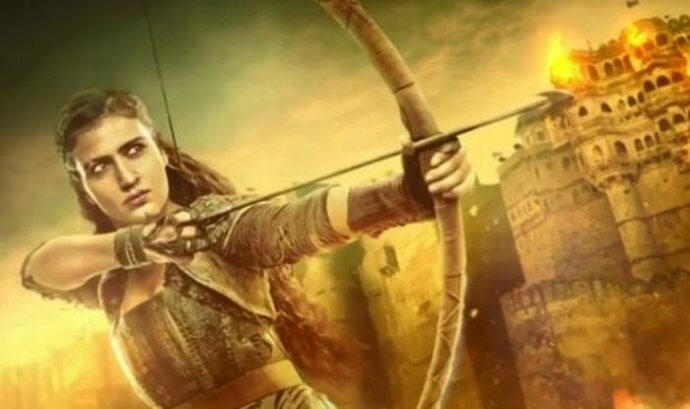 Eleven years of gruelling training under Khudabaksh aka Amitabh Bachchan, Zafira now makes music with her trusted bow and arrow. Yet, a bracelet tied around Khudabaksh’s wrist reminds her, that the responsibility to protect her lies with him. In the 2-hour-44-minute film, that bracelet has been the bane of my existence. Like the baton in a relay race, it keeps getting transferred to the next candidate deemed fit for protecting at the end of the former’s lap. From Khudabaksh to Firangi aka Aamir Khan, and back to Khudabaksh. Because men protect. Period. Of course, the bracelet is symbolic. She does not need protecting on the battlefield. The bracelet actually stands for her honour. Which makes it worse. Why is a woman’s honour so fragile that it needs to be preserved in a glass case? Any impending threat to the said glass case needs to be warded off by the men guarding it, of course. And if that terrible time ever comes when you realise that against all your best efforts that honour cannot be protected anymore, she must jump into a fire. Coming back to the film that doesn’t push their women into burning flames, but infantalises, instead. Zafira, when not covering Khudabaksh and Firangi’s masterful swordsmanship with her piercing arrows in their combat against the British, she is even seen capable of warding off creeps approaching her with not-so noble intentions. Case in point, when Firangi legitimately hits on her, but she is too cool for him. Clearly, she’s got her head right above her shoulder. When she becomes the defacto leader of their Azaad gang in Khudabaksh’s absence, she does an outstanding job of unifying and inspiring the team with her powerful words. Yet, let us not forget that, after all, she is a woman, fragile. To imagine the fate of the likes of Daenerys Targaryen and Arya Stark in a Bollywoodised Westeros gives me the chills. The problem of Bollywood at large is much greater than just turning warriors into baby dolls. The problem is the very definition of masculinity. We are so accustomed to boxing men as the knight and women as the damsel, that perhaps the idea of not having a foil shakes us. In a world where women don’t need protecting, what role do we give the men? Alas, that world doesn’t exist. Therefore, protector main hoon, bracelet idhar hai. Also read: #MovieReview: Thugs Of Hindostan is a half-cooked pot of biryani. It's nice, but not fulfilling.